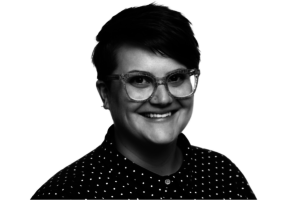 Catherine Hart is a white Settler who grew up in Cornwall, Ontario (Haudenosaunee territory) and moved from Kingston, Ontario to the Margaree Valley in Unama’ki/Cape Breton in Spring 2016. She works remotely for the Atlantic Indigenous Mentorship Network based at Dalhousie University and the Labrador Institute with partners across Atlantic Canada. Her education background includes an undergraduate degree in Global Development Studies with an Economics minor from Queen’s University and she graduated from the Master of Resource and Environmental Management program at Dalhousie University in 2014. When not working or volunteering, you can find her training as a competitive weightlifter, listening to podcasts, reading, canning, or playing outside. Originally trained as an electrical engineer, Dave Williams has transitioned over the years to more of a Jack of All Trades: building and renovating (wiring of course!) houses, running a busy medical office, substitute teaching, patrolling ski hills and, of course, growing his own food. Besides pruning and caring for his legendary peach trees, Dave’s involvement in the local food scene includes: giving workshops on fermentation at various food events; volunteering with and optimizing processes for the Pan Cape Breton Food Hub; growing sweet potatoes; undertaking a 100% local Cape Breton diet for one month each year; and finding eggs from his backyard chickens in the most unexpected places. 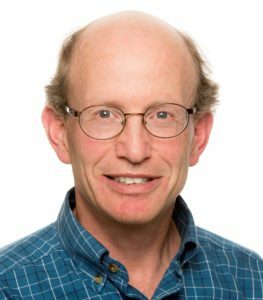 Dave also serves on the Board of the Seawall Trail Society, a group working to build a long distance hiking trail in Northern Cape Breton. Demmarest Haney is a homesteader, artist, and educator. She runs Feywood Grove Farm, an organic permaculture-focused homestead in Albert Bridge, with her husband and 2 young sons. When not farming, Demmarest can be found either in her pottery studio making functional stoneware or facilitating public workshops to share cooking, preserving & specialized homesteading skills. Demmarest is a strong advocate for local food and food security and has helped to organize local gleaning projects, Empty Bowls fundraisers, and local food mapping. Demmarest has an Associate of Arts in Biology, a Bachelor of Arts in Anthropology and a Master of Arts degree in Cultural Anthropology. She did her master’s research in Cape Breton and studied the Traditional Food Plants of Unama’ki with Mi’kmaq elders. Eric Levitan-Reid was born and raised in Cape Breton. He has worked as a community organizer and researcher on a wide range of issues including poverty, housing, transportation, youth development and food(! ), among others. While working in other parts of Canada, Eric had the opportunity to participate in a number of local food initiatives, such as food councils and community gardens. 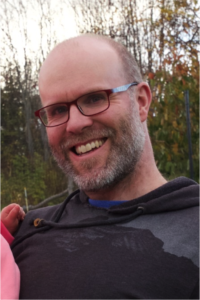 After returning to Cape Breton in 2010, Eric became aware of the wide range of interesting food initiativeshappening locally and joined with others to convene discussions among many of the people involved, particularly in the Cape Breton Regional Municipality. These conversations were the early roots of what has now become the Island Food Network. Eric works for New Dawn Enterprises as Facilitator, Community Engagement and Collaboration. He and family love to eat local and are supporters of the Pan Cape Breton Food Hub! 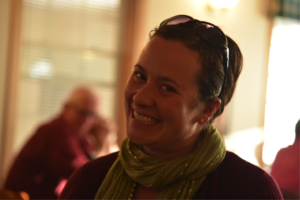 Jen Cooper is a project co-ordinator with the environmental non-profit ACAP Cape Breton. An ecologist, Jen is happiest when a classroom or community group comes alive because she’s taken them deep into the layers of an ecosystem, like a forest, river, or even their own garden. Delighting in anarchy, she transcends borders by using imagination to stimulate scientific education, and deep science to inspire wonder and art. 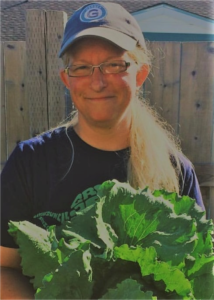 Jody Nelson serves as the Network Coordinator for the IFN (as part of her role as the Cape Breton Community Food Coordinator for the Ecology Action Centre). She also runs LocalMotive Farm, where she grows a range of colourful vegetables along with two kids. 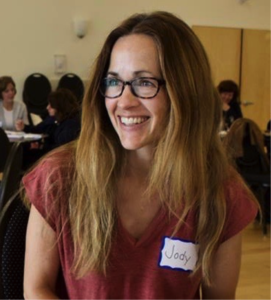 Jody believes that nutritious, sustainably-produced food is a basic need and right. Beyond necessity, sharing in growing, preparing, and eating food can be the glue that holds a community together. This interest motivated her to complete a degree in Agriculture, with a focus on food security, international development, and organic production. Originally from the Ottawa Valley in Ontario, Kailea Pedley has lived in Pipers Glen, Inverness County, since 2014. Together with her husband, she operates Patchwood Farm – a small-scale, off-grid farm embracing the principles of permaculture and restoration agriculture. Kailea works off-farm as Coordinator of the Cape Breton Local Immigration Partnership, a collaborative community initiative designed to improve newcomer settlement and integration outcomes in Cape Breton by fostering welcoming communities. Kailea holds a BAH in Political Studies and Global Development Studies and an MSc in Rural Planning and Development. She has a diverse background that includes experience living and working in El Salvador, the United Kingdom, China, and New Zealand. Kimberly McPherson is the Coordinator of the Glace Bay Food Bank Society. Her passion is gardening and teaching how to garden, cook, and make pickles and preserves to empower people to gain skills to eat healthy and live healthy. In her spare time you’ll find Kimberly in the pottery studio or making candles. Born in Ottawa and raised in Calgary, Kimberly has called Cape Breton home since 2003. Dr. Leigh Potvin is an educator, researcher, and advocate who is passionate about food justice and gender equity. 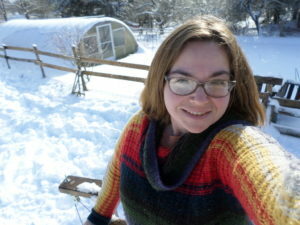 She loves raising backyard chickens, growing tomatoes, fibre arts, and making fantastical garden plans that sometimes turn out the way she hopes. 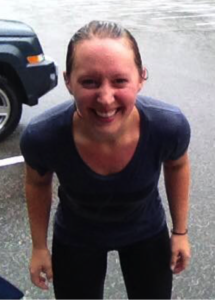 If you run into Leigh she’ll probably tell you about her latest research, one of her pets, how working with youth inspires her, and what she is thinking about canning next. Nadine Bernard, proud mom and Kiju (grandma), is Mi’kmaq originally from Wekoqmaq First Nation but currently resides in Sydney. 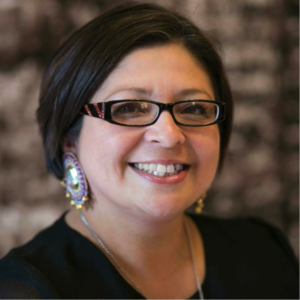 Nadine has been an advocate in poverty reduction strategies with a main focus on addressing food security in not only First Nation communities but in broader Cape Breton as well. She serves on the Poverty Reduction team’s Food Security sub-committee through the United Way and is a recent addition to the Island Food Network team. Nadine is also owner and lead facilitator of Slow Cooked Dreams, an education and empowerment workshop intertwined with slow cooker food prep recipes. 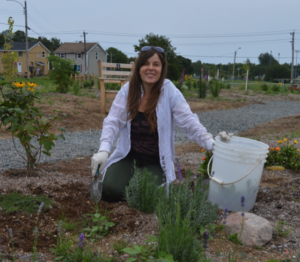 She is currently working on projects to reorganize food bank boxes at all 14 food banks in Cape Breton and also facilitates a Legacy Leaders Garden project with 20 youth at the Whitney Pier Youth Centre. View this Short Video About Us!